These annual festivals are a developing tradition for the city, intended to sustain and strengthen separate choirs, which have lost facilities and performing spaces since the earthquake. 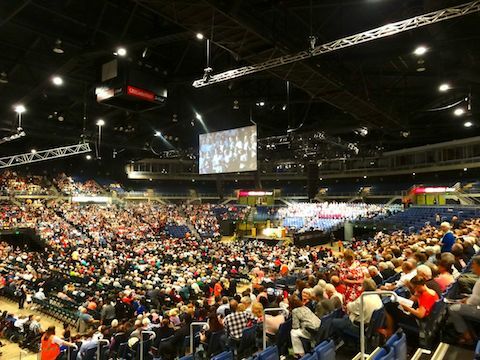 Initial festivals were held in the Arena, despite increasing costs and acoustic concern. It is hoped that a restored Town Hall Auditorium will be a suitable future venue, available at affordable cost. 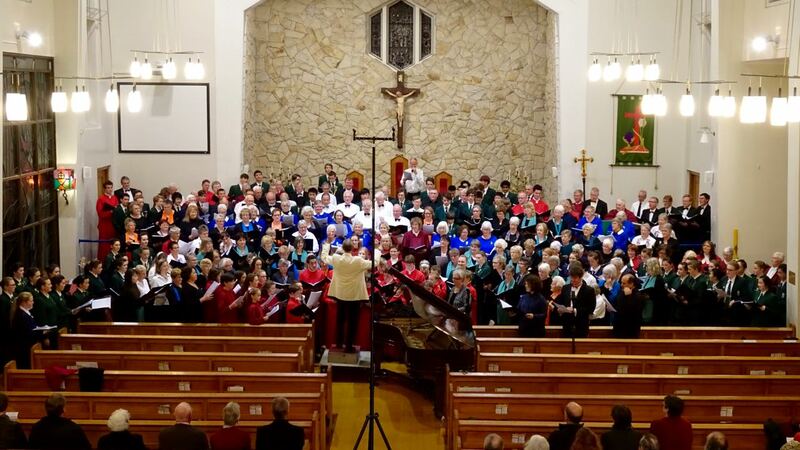 Choirs are drawn from the combined inner city churches, community, youth, barbershop, and concert stage. They are grouped into clusters, performing for up to 10 minutes, and choosing their own items, conductors and accompanists. Accompaniment is by piano and organ, and the festival, which normally lasts a little over one hour, is concluded by a combined item, and social time. 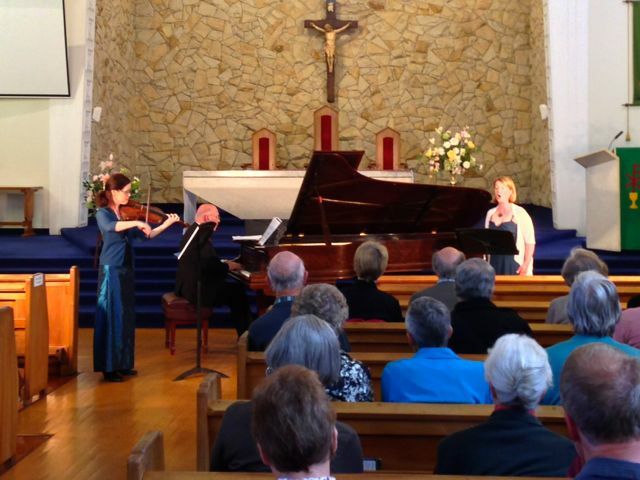 This pilot event was undertaken to determine the viability of presenting a regular recital series through 2014 in St Mary’s Catholic Pro-Cathedral. Financial support was provided by Creative New Zealand. Light lunch options were available from 12.45 pm, organised by members of the Catholic Women’s League, who raise money for the missions. Admission was by programme donation of $10 and $5. 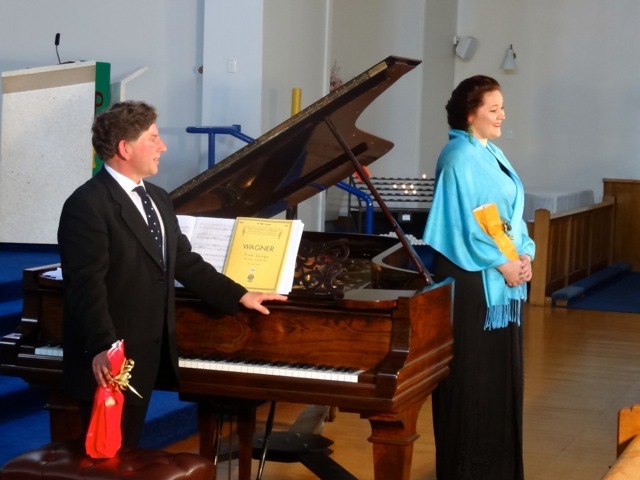 Proceeds were designated for a set of music rooms for the Cathedral Choir and Orchestra. Consecutively, audiences numbered 50+, 70+, 80+ and 50+. Michael Endres & Zara Ballara. An evening choral concert began with a procession and choral bracket from an ecumenical choir, drawn from the broken churches of our city. 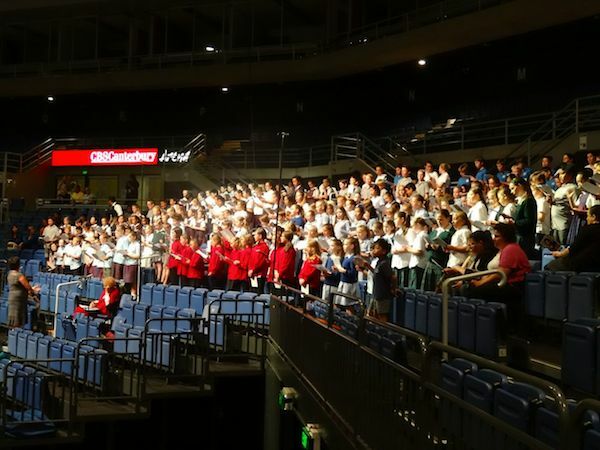 Other groups represented were the Community Choirs, Canterbury Plainsmen, Catholic Colleges, and Concert Choirs. 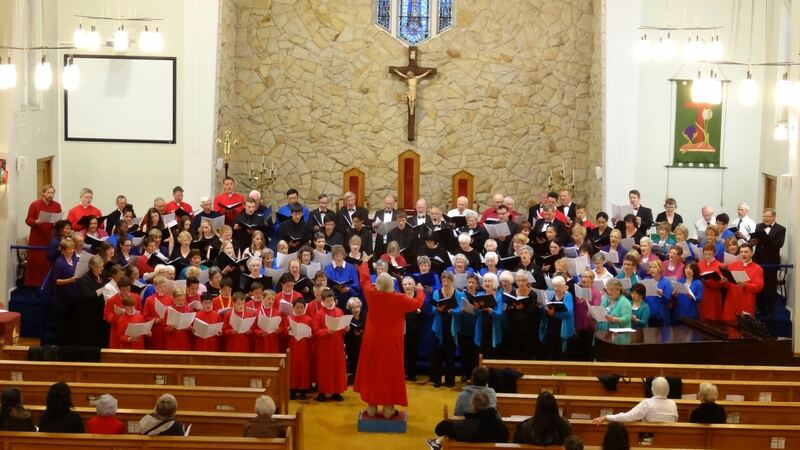 Perfomers and a large audience concluded the concert by singing together Handel's Hallelujah Chorus. 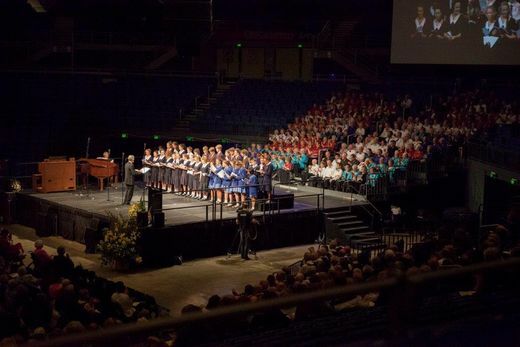 Hundreds of local musicians and dozens of Christchurch’s music groups presented a free concert Christchurch: The Voice of Music in the CSB Arena at 6pm Wednesday 21st November. 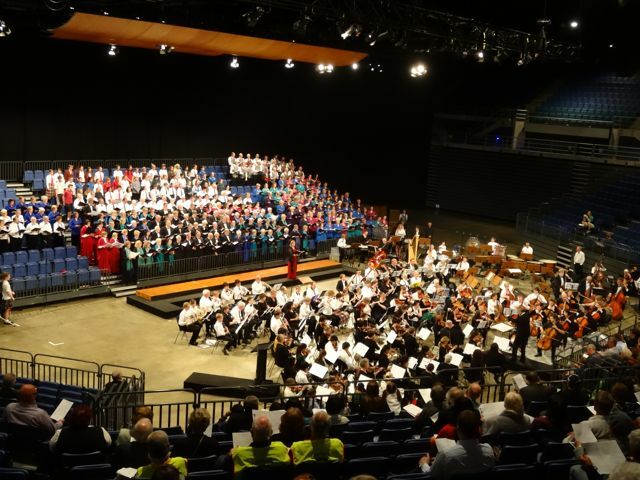 This unique concert celebrated music making in Christchurch to strengthen our musical community through shared participation in a city-wide event. 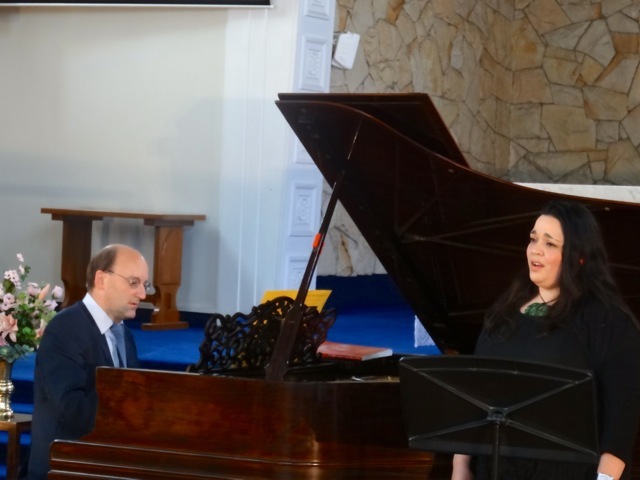 It featured many local groups of players, singers and compositions by local composers and brought the Voices of Music together, sharing the joy of music for all. The concert featured works by local composers: Philip Norman (Earthquake: 22.2.11), Patrick Shepherd (Fallen Cathedrals), Richard Oswin (Sanctus) and John Emeleus (Christchurch: The Voice of Music) Local and internationally renowned soloist Edith Salzmann performed with Town and Gown Strings, an ensemble created especially for the concert. 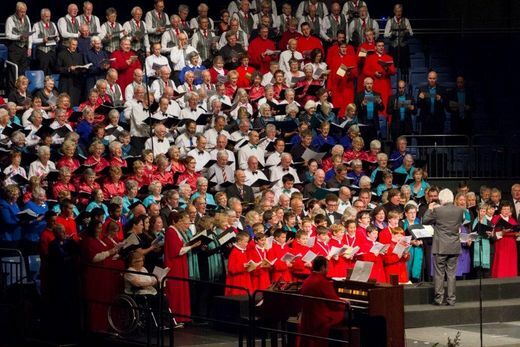 Breaking from traditional concert programmes, Christchurch: The Voice of Music began with a rehearsal of two massed items involving audience participation. There was a wide range of performers from amateurs to professionals of all ages. 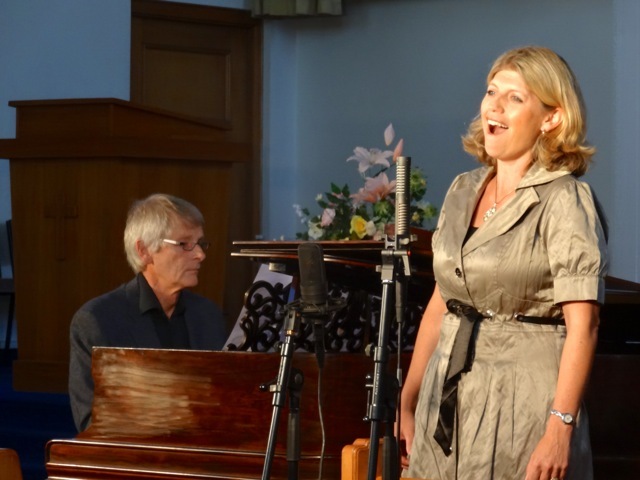 The event was organized by the Christchurch Civic Music Council, a representative group that is committed to the successful future of music in our city.